This is the wine to drink with Oreo Cookies. Actually, I didn't try that combination since I didn't have any Oreos around but that's the thought that came to mind on evening #1 of enjoying this wine. As other tasters have mentioned, I found coffee, coffee grounds, mocha and berries on the nose, with a similar palate impression. There was also a savory meat juice aspect in the finish. That was evening #1, when I had my Oreo revelation. This wine just seemed to combine the best aspects of the combination of the two wafers holding the tasty creme inside, with the dryness and smooth texture of the wine being the perfect foil for the sweetness and crunch of the cookies! Over the course of four evenings, the character of this wine changed. I detected some cranberries on evening #2 along with shaved chocolate. There was a nice, chewy aftertaste of coffee and cocoa. On evenings 3 and 4, the coffee/mocha character dissipated, replaced by lots of blueberries that led into a cranberry-type finish. 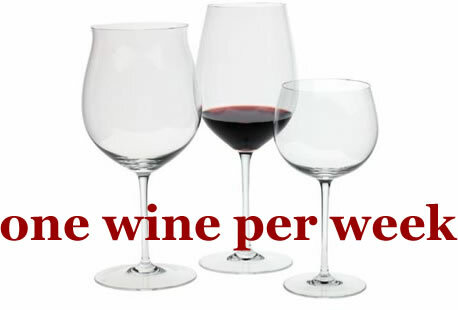 The fruit character of the wine was much more pronounced than the first evening. The aromas became more reticent over the course of the four evenings, also. The wine is drinking very nicely now. I purchased this from WineQ for $19.99 and it gets a solid two thumbs up. So glad you liked this wine, which is a favorite of mine. You don't see many petite verdot bottlings, but this one is a winner. 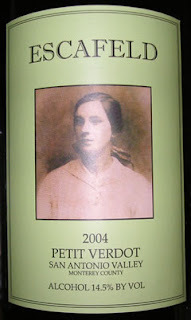 That's the first bottle of Petit Verdot I've ever tried and probably the first I've seen. You are right, it was a winner!